Call or text today to schedule an appointment. There are many sources of pet information on the Internet and it can be difficult to know which ones to trust. That's why our articles are written in-house by the same doctor you can talk to right here at Creekside Veterinary Clinic. Click below to choose an article about some of the common concerns you might experience with your pets. Most kitties are home bodies. The idea of world travel, or even travel across town, isn’t appealing to them. There are ways to make your kitty’s trip less stressful for you and for them. It’s helpful to look at this from your cat’s perspective. More than likely, the only time the noisy/clangy carrier comes out is when the kitty will be stuffed in, loaded into the unfamiliar and noisy environment of a car, and taken to a place where there are pokey needles. Much can be done to help. First, let’s make that initial loading into the carrier much smoother. Ideally, the process starts weeks or even months before their visit. Leave the carrier out in a visible area and give your cat some treats and petting around the carrier. Put a thin bed or towel in the carrier to make it inviting. Let the carrier become a cozy little kitty cave. When they start spending time in the carrier, begin to feed their favorite treats inside the carrier. Feliway™ wipes or sprays have feline facial pheromone that helps to reassure kitties that everything is okay, so treating the carrier prior to transport can also help relieve stress. Feliway is available at our clinic. When they finally do need to load up, even though the car itself is unfamiliar, being in a familiar and comforting carrier can go a long way toward easing your kitty’s concerns. Once cats arrive at the clinic, we always strive to reduce their stress. We get them into a quiet room as soon as possible and do the exam slowly, letting their comfort level determine the pace. Sometimes we’ll do the exam while kitties are in the half shell of their cozy, safe carrier, often with a soft towel hide-away to help them feel less exposed. For extra worried or grumpy cats, we can avoid harsh leather gloves with a strategic double layer of towels and sometimes some sedation before they even come to the clinic. Most cats see their veterinarian only half as often as dogs. 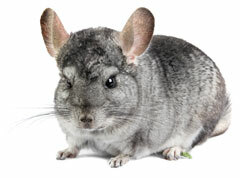 One major reason is that their owners are avoiding putting them through the stress of traveling to the veterinarian. However, for an adult cat, one year is like four human years, so it’s important for them to have regular checkups. With a little preparation before the trip and with the calming approach we take at Creekside Veterinary Clinic, we can make those visits a whole lot easier. In the day or two following Thanksgiving and other major holidays, the phone calls about vomiting dogs start rolling in. Dogs fed high fat snacks or meals (such as ham, turkey and fatty trimmings or large amounts of cream) can get a serious and even life-threatening disease called pancreatitis. It is most common after a significant overindulgence like eating the skins or drippings from cooking the turkey, but some individuals and certain breeds are especially susceptible. The good news is that preventing the common cause of post-holiday pancreatitis is easy. The pancreas is an abdominal organ that produces the insulin to control blood sugar, but it also produces digestive enzymes used to break down fats, proteins and sugars into small enough particles that the body can absorb the nutrients. When pancreatitis occurs, these digestive enzymes run amok and begin to “digest” the pancreas and nearby liver. This creates a great deal of pain and nausea and can require quite intensive care to pull a pet through the crisis of acute pancreatitis. Sometimes animals succumb to the disease. An animal may even develop chronic pancreatitis where the pancreas no longer produces adequate insulin and then diabetes mellitus ensues. These animals with chronic pancreatitis are often in chronic pain and require close supervision and management by their veterinarian. Some dogs, such as schnauzers, are quite prone to pancreatitis and fatty treats should be avoided at all costs. Pancreatitis is diagnosed based on a test measuring pancreatic lipase in the blood stream. Veterinarians will also run general bloodwork that checks the liver enzymes, the white count, electrolytes, and other things. Treatment for pancreatitis involves initially giving the pet nothing to eat or drink by mouth. Anything that passes their lips stimulates the pancreas to make and release more digestive enzymes. Most pets need to be hospitalized with intravenous fluids, antibiotics and anti-nausea medication, sometimes for a week or more depending on the severity of their case. Sometimes this can be managed on an out-patient basis, but your veterinarian will advise what the best course for your pet is. Bottom line, the best treatment for pancreatitis is prevention. Don’t feed your pet table scraps and especially don’t give them large amounts of fatty food. Watch that your guests aren’t feeding scraps and fatty foods. The cumulative amount your pet receives might surprise you. Don’t let your pet ‘vacuum up’ after everyone. If you have a kids’ table, keep an eye on the area or isolate your pet. Keep used pans and trimmings out of reach of your pet. Vomiting, diarrhea, pain and risk of death are far too high a price to pay for a yummy snack on Thanksgiving. Dental disease is by far the most common problem we see in pet dogs and cats (and many rodents, too). Really, should we expect anything different when most pets don’t have their teeth brushed on a daily basis? If we never brushed our teeth, we might also have seriously bad breath and lots of accumulated tartar. In addition to this being an embarrassing social problem and an aesthetic problem, dental disease is actually a serious health concern. The inflammation associated with gingivitis can allow nasty oral bacteria into the bloodstream which can then set up dangerous infections in the heart and kidneys. When your pet has a red line on the gum tissue above the teeth or generalized swelling and redness of the gum tissue, this indicates the presence of gingivitis. If dental disease is allowed to go on un-checked, the gum tissue can pull away from the teeth and the bone that cements the teeth into the jaw gets “eaten” away. When dental disease gets to this stage, for the health and comfort of your pet, teeth often need to be removed. As veterinarians, we would much rather address dental disease in the early stages, before tooth extraction is unavoidable. 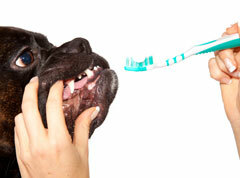 Dogs and cats (and even ferrets) would benefit from daily brushing. Brushing every other day or even twice weekly isn’t perfect, but it sure goes a long way toward preventing dental disease. If the prospect of brushing Fido or Fluffy’s teeth gets you nervous, don’t worry, it may not be as bad as you think. We offer poultry flavored (aka yummy) toothpaste and special finger brushes that can make entering an anxious pet’s mouth a little easier. If you start brushing your puppy or kitten’s mouth early in their life, they become comfortable with the process and it can be an easy part of your routine that prevents dental disease for many years. If your schedule or your wiggly pet prevents you from brushing, you can try a prescription dental diet from Royal Canin or Science Diet available through veterinarians. These diets have a larger kibble size that encourages your pet to chew thoroughly before swallowing. This special kibble is made to perform a scrubbing action on the teeth, effectively brushing your pets’ teeth as they chew. There are also dental supplements such as Greenies chews and anti-bacterial mouthwash-like products that help to delay the buildup of tartar. Preventing dental disease is ideal, but what happens if your pet has already developed dental disease? 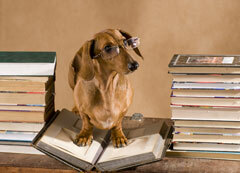 The next important step is a visit to your veterinarian for a professional dental cleaning and polishing. Because cats and dogs rarely open up and say ahhhhh, thorough dental cleaning needs to be performed under general anesthesia. At Creekside Veterinary Clinic we use the safest gas anesthesia and monitoring equipment. We offer intravenous catheters and fluids and pre-anesthetic blood testing to keep your pet safe during their dental cleaning. We scale the pet’s teeth above and below the gum-line and polish their teeth with the same toothpaste and polisher that your human dentist uses. We offer surgical extraction for any abscessed, fractured or seriously diseased teeth. If you can implement maintenance dental diets or brushing after the dental cleaning, the time between dental cleanings can be greatly extended. Caring for your pet’s teeth keeps them healthier and happier and they’re sure a lot more fun to snuggle with when their bad breath isn’t knocking your socks off. Inappropriate elimination in cats can be a real trial for a family trying keep their house from being destroyed by the very persistent smell of cat urine. It puts pressure on the loving relationship between family members and the cat and it can be an expensive and time consuming problem. There can be many reasons for inappropriate elimination, some are medical and some are behavioral. Dr. Eggert can help you work through finding possible underlying causes for your kitty’s messy behavior and we can give you ideas to help solve the problem. Any time a cat is having inappropriate elimination, the first step is to rule out underlying medical conditions such as bladder infections or metabolic problems like diabetes or kidney disease that make your kitty drink and urinate a lot. Even if the inappropriate elimination has been going on for a long time, it’s still possible that there is an abnormality affecting your kitty’s ability to hold their urine. If the blood and urine work-up are normal, the next step would be to determine what potential behavioral causes might exist for this problem. Some kitties have something called “litter box aversion” and this can often mean both urination and defecation outside the box. These kitties have found something about their litter box options that turned them away from using the box, either sometimes or all the time. Some things that can turn a kitty away from using the box are that they don’t like the litter substrate, the box is not clean enough, they have had a frightening episode in the box (like being intimidated by another cat in the household) or they are uncomfortable with the style of the box. 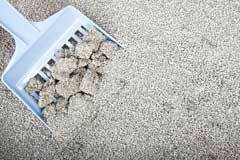 If litter box aversion is suspected, the first step is to make sure you have enough boxes available. There should be one box per cat plus one extra. Yes, this can mean a lot of boxes, but it’s worth it to keep the soiling where it belongs!! We can help you develop a plan to ease your kitty back to the box. Once litter box aversion has been ruled out, the other causes for behavioral inappropriate elimination often arise because a kitty feels either too confident or too insecure and frightened. A confident kitty can perpetrate territorial elimination behaviors. This appears as vertical “spraying” on walls or furniture. 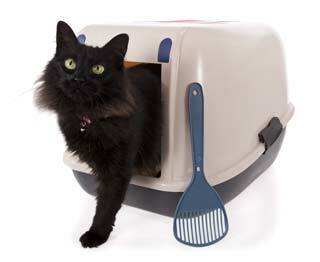 Scared or insecure cats will generally squat to urinate and the mess will be a puddle on the floor or in a soft item. Typically, these forms of inappropriate elimination involve only urinating outside the box, not defecating. In both types of inappropriate elimination, look for environmental factors that may have initiated the unwanted behavior. Changes in the environment can be a new pet or baby in the household, noisy and chaotic remodeling projects or an outdoor “intruder” cat taunting and stressing out the kitty. There can be ways to ease some of these stressors to help kitty come back to the box. In all instances of inappropriate elimination, make sure that each soiled spot is thoroughly cleaned with an odor neutralizer to prevent the spot from becoming future inspiration to the kitty already doing the soiling or to another kitty in the household. If changing the environment doesn’t work, it may be time to consider medications to help calm and relax the kitty. The drug Reconcile (the generic name is fluoxetine or Prozac in human medicine) can be very helpful in providing a solution for inappropriate elimination. There are other medications and calming remedies to try if Reconcile doesn’t help. The bottom line is that this is not a hopeless problem and Dr. Eggert has expertise and ideas to help you with this stinky problem. Guinea pigs, rabbits, chinchillas, gerbils and hamsters all have a specialized gastrointestinal (GI) tract that can be extremely finicky, and can even cause life threatening illness at times. They are hind-gut fermenters, meaning that they have a dilated portion of the large bowel, the cecum, where bacteria help to break down the coarse materials in the hay and other roughage that they eat, so the animal can obtain the nutrients from the food. If these bacteria get out of balance, life threatening intestinal shutdown and/or diarrhea can occur. To prevent this, it’s important to feed these animals an appropriate diet and to recognize immediately when they are ill. Immediate veterinary intervention is critical! 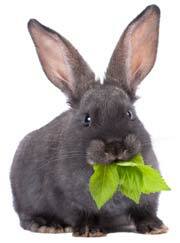 All rabbits and rodents need a diet that is very high in roughage to keep the intestinal tract moving along. Adult rabbits, chinchillas and guinea pigs should be offered timothy or orchard grass hay, not alfalfa, on a free choice basis. They should also have an alfalfa or timothy hay based pellet in addition to their always available hay. Younger, growing animals would do best with alfalfa based pellets and then they should be transitioned to a timothy hay pellet which contains a higher percentage of roughage and less calcium. Gerbils, mice, rats and hamsters should be fed “lab blocks” which look boring, but are a complete, very nutritious, pelletted diet. They would also enjoy and benefit from free choice timothy hay. Seed based diets are too high in fat and too low in nutrients. 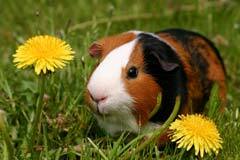 The small rodents should be gradually transitioned to a pelletted lab block diet if they are used to a seed diet. All the rabbits and rodents enjoy dark, leafy greens such as collard greens, parsley, herbicide free dandelion leaves and flowers, kale, etc. If your pet is not used to eating these foods, introduce them slowly to avoid diarrhea. Most fruits can be offered as small treats, but again, go slowly when introducing your pets to these sugary foods and feed them in very small quantities. Guinea pigs do not make their own Vitamin C, so they have a dietary daily requirement for 15-30 milligrams per day to prevent scurvy. Guinea pig pellets say they contain vitamin C, but the pellets have to be consumed within a very short time of their production date, or all the Vitamin C will be gone from the pellet. It’s best to provide a daily supplement. Sometimes, because of illness, dental disease, rapid diet changes, stress or numerous other reasons, rabbits and rodents can develop severe GI disease. The signs that an observant caretaker should watch for are decreased appetite, decreased defecation (pooping) or diarrhea. If any of these signs is seen, contact your veterinarian immediately. They should be seen as soon as possible, so that life-saving medications and interventions can be started. If you discover this problem and it will be a short time before you can have your pet seen by the veterinarian, you can immediately syringe-feed either soaked and blenderized pellets or a liquefiable herbivore diet called Critical Care from Oxbow Animal Health. Please know, this is a life-threatening disease and waiting to see if your animal gets better is not an option! 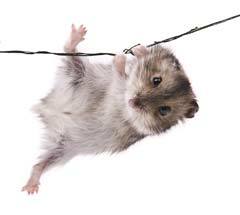 Susan Brown, DVM wrote an excellent and comprehensive article regarding appropriate diets for small mammals. Dr. Eggert whole heartedly endorses Oxbow Animal Health products for the dietary needs of her herbivorous patients. From hay, pellets, rodent blocks, chewable Vitamin C tablets and syringe feeding diet, they have it all! Kaytee and Zupreme branded diets, when carefully selected based on the above guidelines, are also good diet brands to use. What does it mean if my cat or dog gets fat (or skinny) and their food hasn’t even changed? That’s an important question to be able to answer. There are many reasons for sudden weight gain or loss and there can be different reasons for it in dogs and cats. If you notice a weight change, it’s important to note whether your pet is eating more or less than normal. For example, a dog that is eating less, but is still quite rotund, may have an underactive thyroid (hypothyroidism). In this case, significant weight gain, often coupled with decreased activity, decreased appetite and/or skin problems, could indicate a serious, but treatable, medical disease. On the other hand, if your kitty is losing lots of weight and she’s ravenously hungry and kind of hyperactive, she may be hyperthyroid. This is also a very serious, yet treatable disease. If dogs and cats are losing weight coupled with drinking lots of water and urinating a lot, we may need to look for diabetes mellitus and kidney disease. Heart disease and cancer, among many others, can be causes for weight loss. These are generally illnesses of middle-aged and older pets, but what about the younger crowd? The biggest time for weight gain in the youngsters is after spaying or neutering. The metabolism goes down after this rite of passage, so the food dish contents should go down also! If your pet doesn’t relish going out in Oregon’s cold, rainy winters, they may tend to put on the pounds as they enjoy their couch potato existence. Just be sure to cut their food back a bit when they’re less active and to increase it when Frisbee season returns. These are a few examples of what could be causing weight changes in your pet. The important point to note is that these problems that cause weight changes are often treatable. Treatment that is started earlier is usually most effective, so it’s important to get your chunky or skinny pet in for an evaluation as soon as possible. A work-up will generally include a thorough physical evaluation (there are lots of clues based on listening to the heart, palpation, etc. ), blood work and a urinalysis. There are times when radiographs may be warranted. Your veterinarian can help you get to the bottom of the problem and outline a plan to help prolong and improve the quality of your pet’s life and time with you. When spring is in the air, so is the pollen. Allergy season came early this year for pets and people alike. While some animals get runny, red eyes and increased post-nasal drip like people with hay fever, more animals manifest their allergies through their skin. The cat that licks her belly bald and has scabs on her back and neck usually has allergies. The dog that constantly licks his feet and legs, rubs his face, or has red itchy sores or bumps on his belly, armpits, or the base of the tail also likely has allergies. When your pet is showing any of these signs, this is the time to enlist the help of your veterinarian. 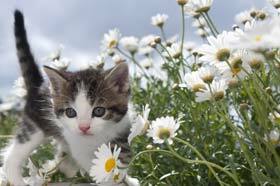 Cats and dogs are generally allergic to three things: fleas, food and inhaled allergens such as molds and pollens. The timing of their allergies can help to determine what they are allergic to. Year round allergies are often related to food. Seasonal allergies can be related to pollens in the summer, mold in the winter and sometimes dust mites and other environmental allergens can cause year round itching. 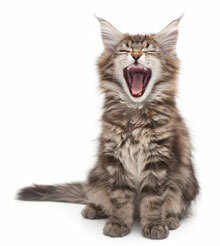 For flea allergic animals, fleas are a year round allergen in Oregon. BEWARE, you don’t have to see the fleas for them to cause allergies. Just as an animal or person allergic to bees doesn’t require 20 bee stings to react, the same is true for animals with flea allergies, one flea bite is enough to set them off. If your animal has been diagnosed with flea allergies, use year round flea protection to keep them healthy and comfortable! 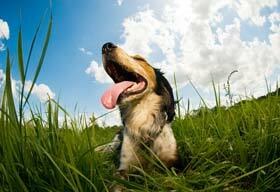 It’s important to seek veterinary care for animals with allergic disease. If you suspect a food allergy and change the animal’s food time and again, you can make it more difficult to find a hypoallergenic diet that will work for your pet in the future. Diet trials for allergies need to be done very carefully under the guidance of a veterinarian with a prescription hypoallergenic food. Unfortunately, foods available at pet stores that claim to be hypoallergenic may not be, and by exposing your pet to that fish, duck, etc. 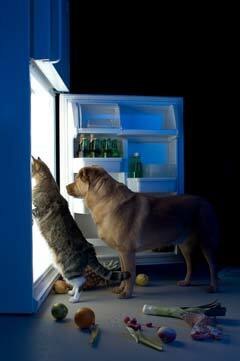 in a non-hypoallergenic diet, that food is no longer available to use later when you really need to find a hypoallergenic diet your animal will tolerate. Another reason to seek veterinary care for itchy animals is that allergies predispose animals to skin and ear infections with staphylococcal bacterial and yeast. Even if you address the allergies properly, if the infections aren’t under control, your animal’s itch may never go away. In addition to antibiotics and anti-yeast medications to treat infections secondary to allergies, veterinarians have other medications in their arsenal to combat allergies. 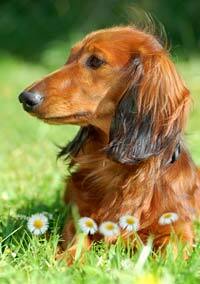 Allergy testing and allergy serum injections can be used to desensitize animals to their specific allergens. Steroids such a prednisone can be employed short-term for seasonal allergies and immune modulating medications such as cyclosporine (Atopica®) can be used long-term for chronic, uncontrollable itching. Topical or oral month-long flea medications can be used every 3-4 weeks to prevent flea allergies. Comfortis® is a product available only through veterinarians and it is favored by many veterinary dermatologists as the most effective flea control available. Be aware that some topical flea medications available at grocery stores and pet stores are truly not as effective as those available through veterinarians. Contact your veterinarian to discuss which products have been working well in your area and to find out which ones they would recommend. Allergies can sometimes be a frustrating and difficult problem to treat. It takes close communication with your veterinarian to sort out the potential causes for itching and to find the particular combination of treatments that will work for your pet. Your veterinarian can help you institute a comprehensive plan for infection control and for ways to treat and prevent the itch that will keep your pet healthier and happier (and you’ll get better sleep because your dog won’t keep waking you up at two in the morning licking or scratching themselves)! Please call or text our office for an appointment. We are located in the McNary Estates Business Center, near the intersection of River Road	and Wheatland Road. Turn at the big McNary sign. Copyright © 2011-2016 Creekside Veterinary Clinic. All Rights Reserved.